Printable PDF Calligraphy chart with Old English themed alphabets. This chart contains 26 A to Z alphabet letters to print in PDF. 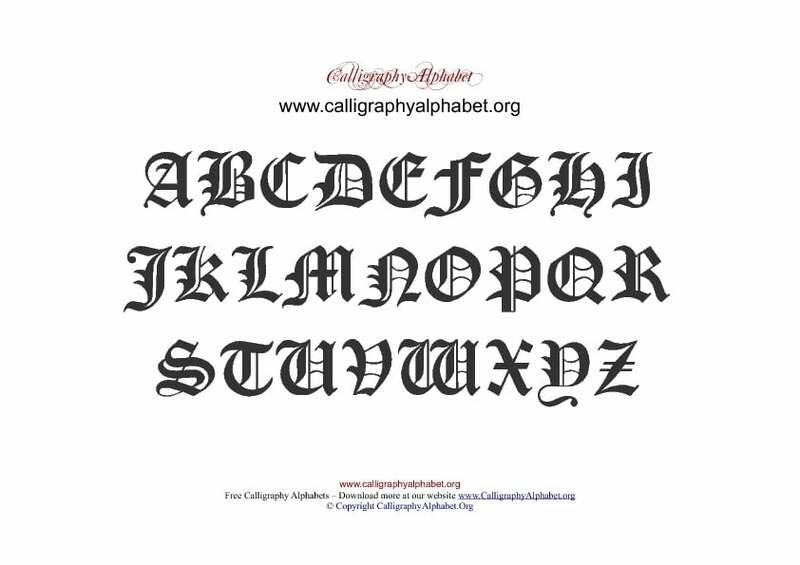 Print this Old English themed PDF formated Calligraphy chart below. This is also known as Anglo-Saxon calligraphy which was used from the middle of the 5th to the beginning of the 12th century. Suitable for many types of projects and scrapbooking activities.